Criminal investigations are going on at all times, everywhere in our nation. With law enforcement stretched to its limit, sometimes they need help. When the time comes to gather important evidence in a criminal case, as well as to uncover clues and draw deductive conclusions from the evidence that can close a case, law enforcement and private citizens often turn to experts in the industry—private detectives. Criminal investigators are professionals who are experts at gathering and interpreting clues and evidence. They not only help to track down and prosecute criminals, but can sometimes deduce whether a criminal act has even taken place at all. If a crime has occurred, a criminal investigator will examine the backgrounds of the accused, witnesses and anyone else potentially involved with the crime to see what kinds of connections can be drawn, and to assemble the puzzle pieces in such a way as to allow law enforcement to move forward with the case. There are three general stages to a criminal investigation. The first stage is that where the private investigator may be most involved. This is the actual investigative stage, wherein the authorities must establish that there was a crime, gather evidence regarding suspects, determine who should be arrested and build a case against that person. The second stage is the actual arrest. If a P.I. is involved in this stage, it can be for the purpose of tracking down and pursuing a fugitive. Normally, law enforcement will be the ones who make the actual arrest. Finally, a court case will proceed, wherein the evidence gathered will be presented to prosecute the suspect. 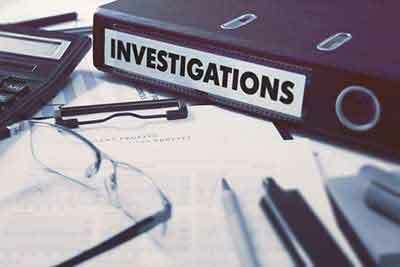 Private detectives may be involved at this level as well, to present the evidence they have gathered and help to break down the connections between the various clues in the case, to reconstruct the crime. Other times, a private investigator may be called upon for the opposite side of a case—to present evidence that might exonerate an accused person. When the prosecution gathers evidence in a criminal case, defense attorneys or the defendant themselves may hire a P.I. to gather proof of innocence. In this case, the evidence they present in court can be vital to defending the rights of the unfairly accused. There are many reasons why private detectives and criminal investigations go together. Private investigators are experts at working within the law and gathering vital evidence. They help to support law enforcement, which is overburdened and underfunded. They can be very persistent, working a single case while law enforcement could have their attentions divided. They are also not bound to a specific jurisdiction, so they can travel wherever is needed to gather the important evidence, which will be admissible in court. If you want to help bring justice to victims of crime, or to protect those wrongly accused, there are few better careers than that of a private investigator. Check out the resources we offer in pursuing licensure as a private detective in your state.